Joshua is a native of New York and a graduate of the University of Southern California, Joshua received a B.A. in English (Creative Writing) and East Asian Studies as well as a Master’s degree in East Asian Languages and Cultures, specializing in pre-modern Korean intellectual history. After a research trip to Korea, Joshua continued his doctoral studies at UCLA where he eventually came to the conclusion that academia would not be his calling. After many years in the workforce, several heartfelt conversations with Rabbis of his past, and an insatiable thirst for teaching, Joshua realized that the Rabbinate would be the right path. 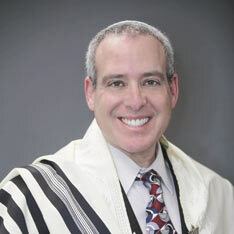 Joshua commenced his rabbinical studies in 2011 while still residing in Akron, Ohio. He and his family seized an opportunity to relocate to the Temecula Valley and soon after arriving, Joshua began to teach and lead services at Congregation B’nai Chaim in Murrieta, California. With the encouragement of his wife and friends, Joshua started a monthly First Fridays Rockin’ Shabbat Service. Joshua also became an affiliate of the AJU Miller Introduction to Judaism program and has since taught three cohorts of conversion students. After ordination, Joshua and his family moved back to Denver, CO where, in addition to his day job at SAP, he will be starting an online project-based learning initiative for pre-b’nai mitzvah students called Cheder Virtuali. He will also continue to teach for the Rocky Mountain Rabbinical Council’s Introduction to Judaism course.